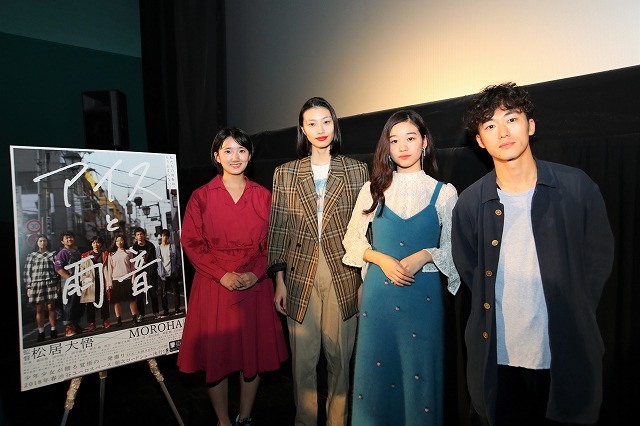 The 30th Tokyo International Film Festival, Japanese Cinema Splash, World Premiere screening of the “Ice Cream and the Sound of Raindrops” was held on Oct. 29th at TOHO Cinemas Roppongi Hills. 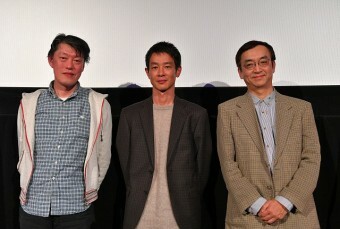 Director Daigo Matsui and the starlets, Kokoro Morita, Reiko Tanaka and Guama appeared on stage for greeting. This youth film is a one-shot 74 minutes depiction about one month struggle of a young man and a woman between a small difference that separates reality and fiction and film and a stage play which was caused by a sudden cancellation of a stage play. 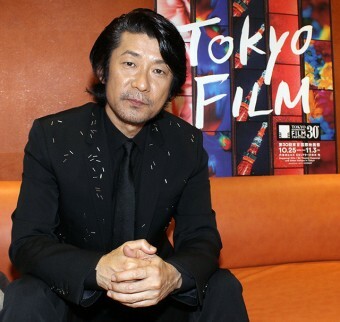 Director Matsui who participated in the competition section last year with “Japanese Girls Never Die” starring Yu Aoi, said during the greeting, “Tokyo International Film Festival is a special place for me. 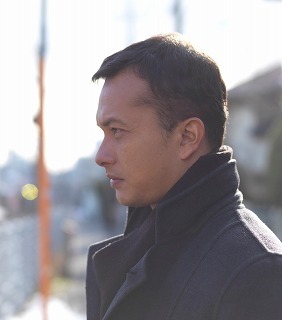 I am glad to be able to premiere the film here.” The typhoon #22 came close that day and the weather turned stormy. I was asked if “the weather meant good luck for “Ice Cream and the Sound of Raindrops.” “Yes, maybe this film caused the severe weather,” he said laughingly. As for the aspiring attempt of one-shot 74 minutes feature; he revealed that, “the stage play planned for the opening was actually cancelled. I have never experienced such a rage before. I couldn’t disappoint those who were involved. Because the play was discontinued, I didn’t want to stop the film in the middle. I didn’t want to call the “cut to”-s. In a sense, it was a revenge for a lost play, but I wiped the slate clean and let the theater cast go. I also chose the actors by audition. Amid all this stage play issue, the “one and the only” choice for the lead role in film, Kokoro Morita was selected. 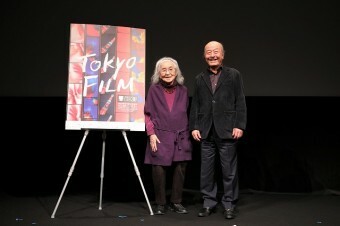 Morita said, “This is a movie theater that I use to come since I was a child. So many guests are here with us today. I wonder, whether this is all real? How will I fulfill my life’s purpose with my peers and elders? I’ve given all I can. I hope it reaches all your heart and make you shiver with excitement. Reiko Tanaka who was born in Osaka was chosen by Director Matsui as one of the cast because of, “Her pureness which is a most important thing for this film.” She rushed from Osaka and joined the greeting half way through with her hair wet from rain. I came to Tokyo without knowing anything, and I’ve given my 74 minutes of all I can do while being taught.” She seemed to be a little bit tense. 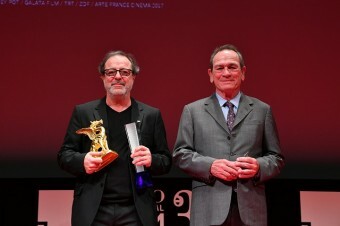 Guama who was also chosen as a cast of stage version, said “It didn’t feel like shooting the film while we were doing it. It was a strange feeling. I really liked the part where Reiko speaks with a Osaka dialect. “It is a section where she says, “I will not change my mind.” Please take notice of that part,” she appealed. The film will be released on March next year.